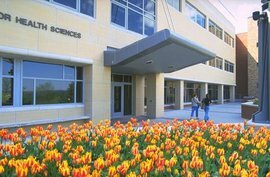 The Biomechanics Laboratory of the Department of Exercise and Sport Sciences is housed in the Center for Health Sciences, which is a state of the art facility with 9000 square feet of lab space. The Biomechanics Lab itself consists of 1,220 sq feet adjoining the Neuromuscular Control Laboratory. The two labs can be opened to create one large lab totaling 2,500 sq feet of space. 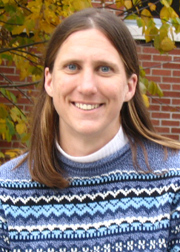 Deborah King, Ph.D. directs the Biomechanics Lab and Jeff Ives, Ph.D. directs the Neuromuscular Control Lab. John Sigg, Ph.D., associate dean of the School of Health Sciences and Human Performance is also involved with the Biomechanics Lab. The Biomechanics Lab is used for faculty and student research projects as well as laboratory activities for graduate and undergraduate biomechanics’ classes. The research focus of the lab is human movement analysis, including athlete performance and patient physical function and dysfunction. Ongoing research projects include studying the biomechanics of figure skating jumps and throws and the landing mechanics during stop-and-go tasks.